Paper represents one of the oldest product we ever made. Years after years we improved it, optimized it and after centuries we look again at this media wondering how to make it better. To reinvent a solution we have to look at the problem we are trying to solve without the same eyes we had when we created. Single serve coffee systems are one of the most common products used in everyday life and they’re generating some environmental challenges linked to the after use of these capsules. Reconsider these products design thinking about their end of life is the key for a new prospective in the nonwovens application for the coffee market. 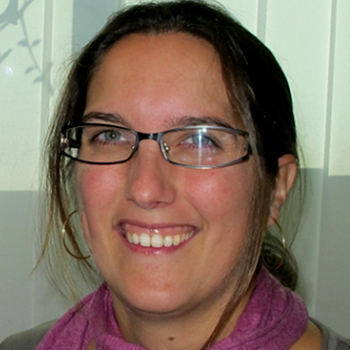 Emilie Picard is an R&D scientist in Ahlstrom-Munksjo Research Center. In her role, she leads technology & product development projects for Ahlstrom Munksjo in the Specialties Business area, mainly in the field of food, beverage, medical, and life science applications. Her topics of specific interest are in biopolymers, functional properties of polymers & nonwovens technologies. She holds an engineering degree in Polymer processing and a PhD in Polymer Chemistry from the University of Lyon.